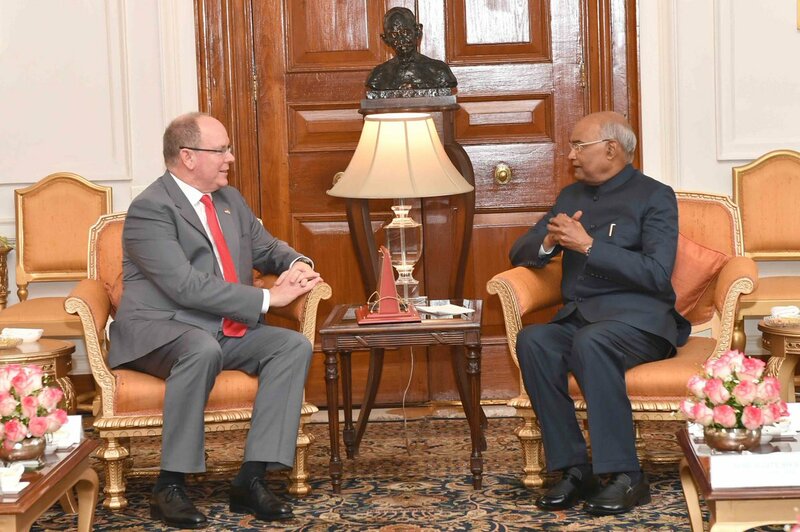 Monaco Prince Albert II called on President Ram Nath Kovind at the Rashtrapati Bhavan in New Delhi. Prime Minister Narendra Modi warmly welcomed the head of state of Monaco, Prince Albert the IInd ahead of a bilateral meeting. India and Monaco established diplomatic relations in 2007 and both countries continue to explore opportunities for meaningful cooperation. There has been good exchange of views seen between both leaders on enhancing cooperation, especially in environment and climate change and renewable energy through sharing best practices. External Affairs Minister Sushma Swaraj called on Prince Albert II of Monaco. Both leaders discussed opportunities for cooperation in areas of environment, specially renewable energy, investment into India, smart cities, marine ecosystems, tourism & people-to-people contacts. The head of state of Monaco paid homage to Father of the Nation Mahatma Gandhi at his Samadhi in Rajghat. The Prince arrived in New Delhi on Monday on a week-long visit to India. Prince Albert II will also visit Udaipur in Rajasthan before heading home on Sunday.